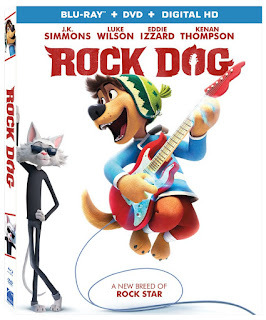 A film the whole family will want to jam to, the Rock Dog home entertainment release includes four behind-the-scenes featurettes looking at the making of every part of the film from voice recording, to animation, to music, as well as the “Glorious” music video. The Rock Dog Blu-ray and DVD will be available for the suggested retail price of $34.99 and $29.95, respectively. Pre-order the HD Digital version of this film for $19.99!